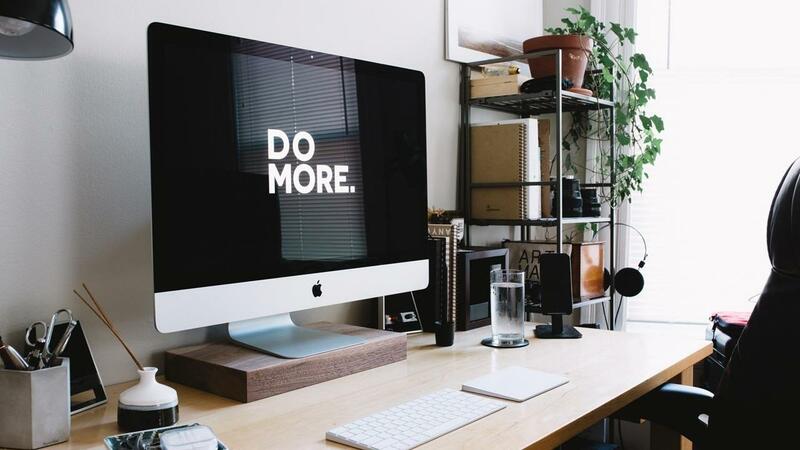 get more done with excellence. 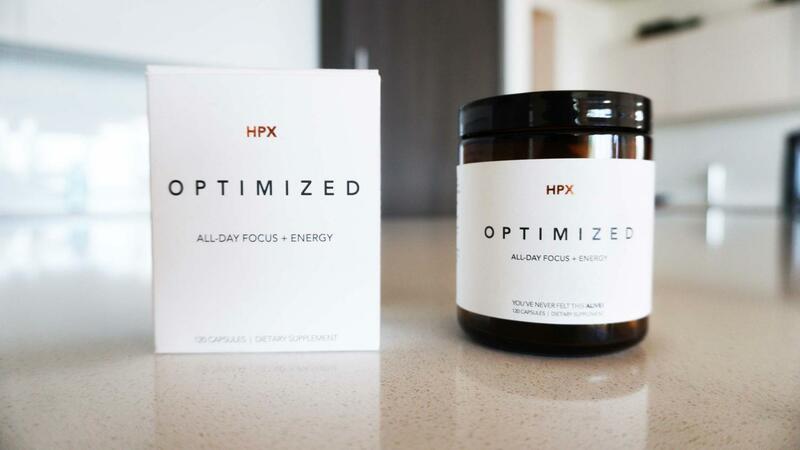 HPX OPTIMIZED is the world's best nootropic for reaching high performance in all you do. Formulated by the world's leading high-performance coach, Brendon Burchard, with exacting standards and the highest-quality ingredients available. If you want to perform at your best, don’t settle for less. Take it for 30 days and you’ll never feel this ALIVE! *These statements have not been evaluated by the FDA. This product is not intended to diagnose, treat, cure, or prevent any disease. Do not take if you are taking medications that lower your blood pressure. Consult a medical doctor before taking this or any other nutritional supplement if you are pregnant, nursing, have or suspect a medical condition or are taking any medications. Store in a cool, dry place. Keep out of reach of children. Athletes need to be smart about what they put in their body in order to perform at their mental and physical peak. 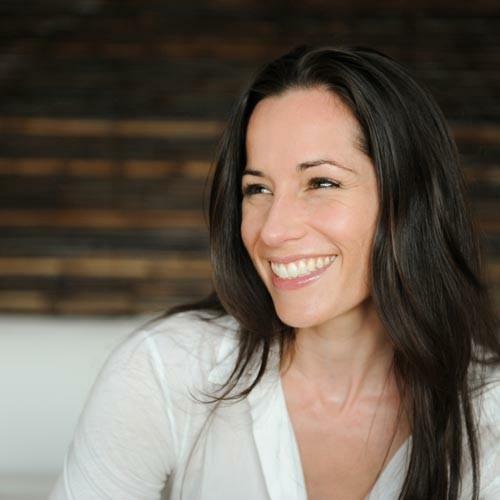 As a former NFL athlete and current American Ninja Warrior, I know firsthand how hard it is to find a product that's safe and delivers on its promises. HPX Optimized over delivers! It helps me bring my 'A' game every day." "I'm definitely impressed! 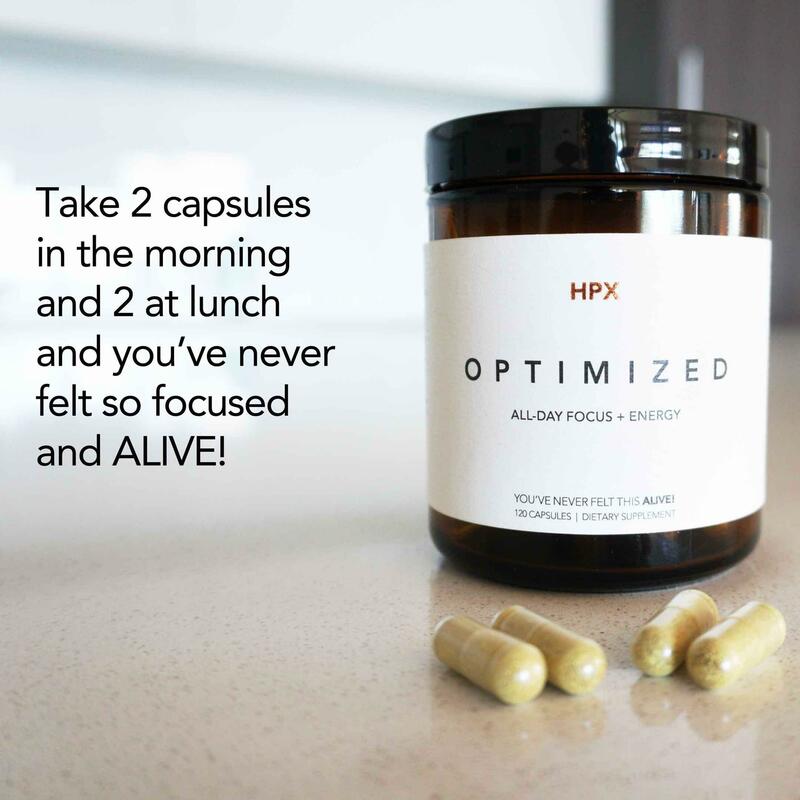 HPX provides a sense of focus that allows me to power through a workout, handle multiple priorities with confidence, and minimize overwhelm. When I'm not taking it, I feel less grounded, less focused. This makes me the best version of who I know I can be. I feel good knowing the ingredients are high quality, the right doses and free of gross fillers." 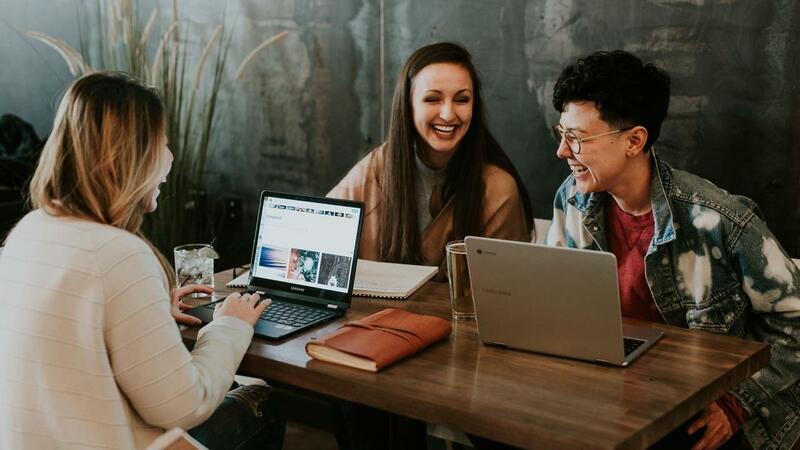 "Entrepreneurs and influencers constantly need to make tough decisions about our business growth. To do that effectively, we need to be sharp and focused all day long. HPX is my secret weapon. 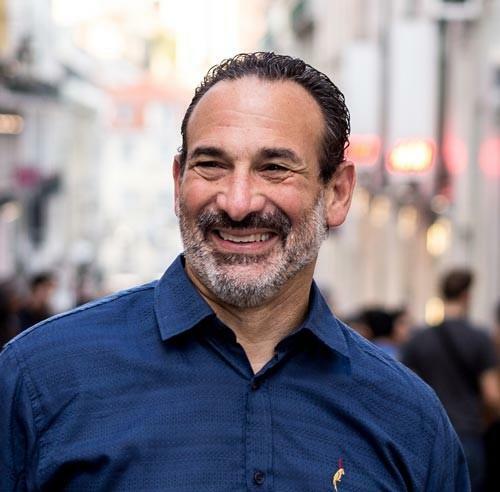 It's a game-changer that has not only boosted my energy and productivity but also keeps my mind clear, sharp and focused throughout the day." The Best Ingredients, Trusted by High Performers. Our ultra-premium ingredients support your mind and ability to focus without the crash, jitters, haze, or nausea. There’s no magnesium stearate or gross fillers. 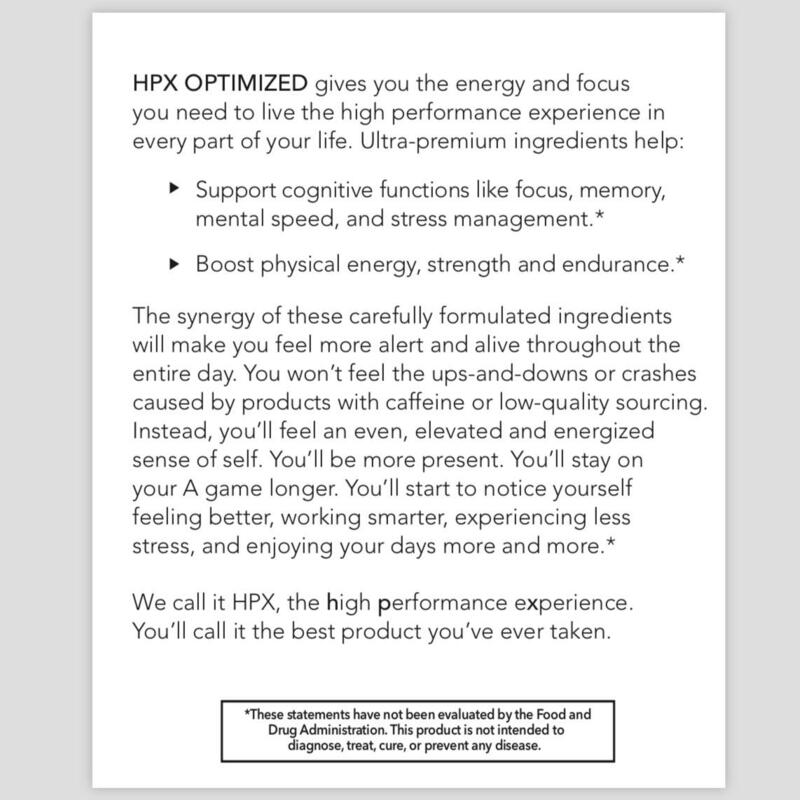 HPX Optimized is Caffeine Free, Soy Free, Gluten Free, and Non-GMO. 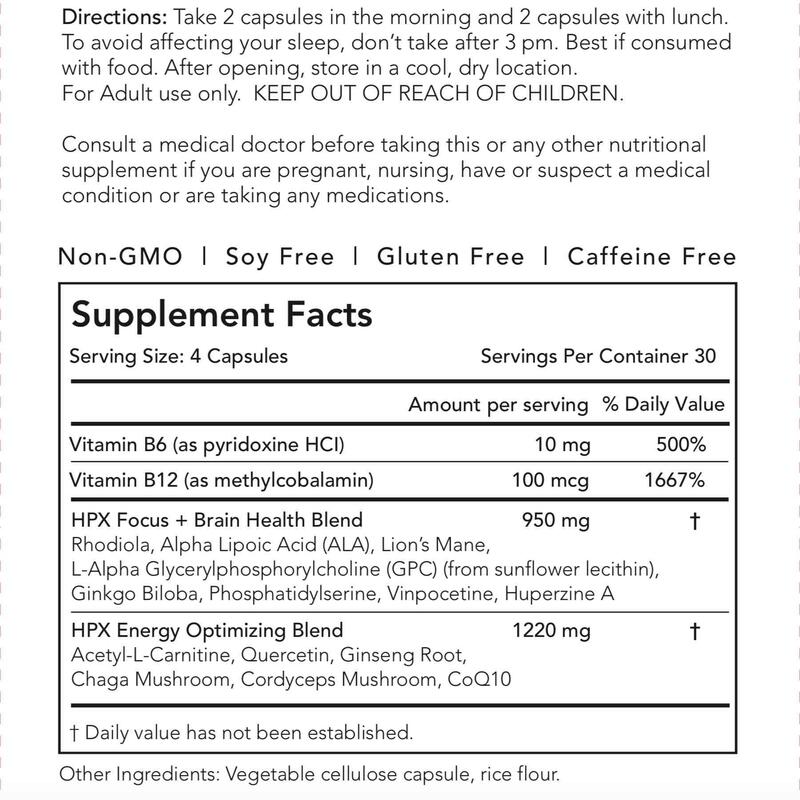 We use quality, synergistic ingredients so that you feel less stressed out and enjoy more brainpower and energy. 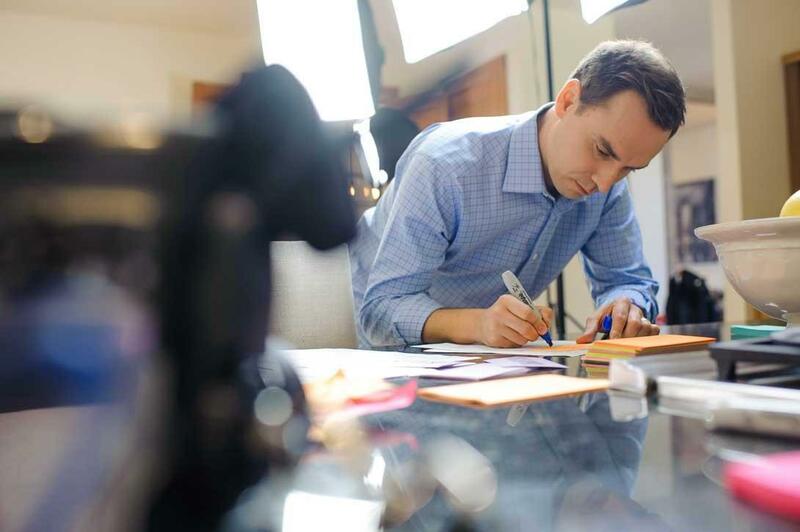 Named the world’s leading High-Performance Coach, Brendon Burchard has dedicated his life to helping people succeed. 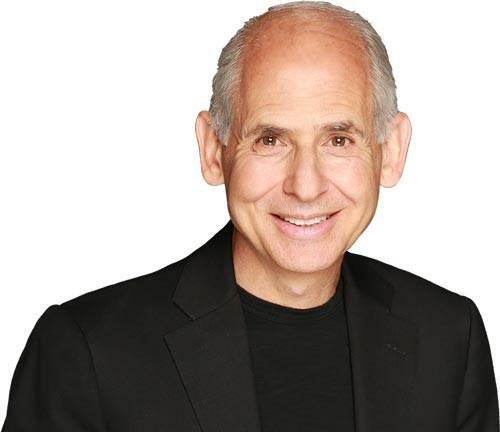 He's a #1 New York Times bestselling author, a world-renowned coach, and an award-winning instructor who has trained over 2 million students. He's been on the cover of SUCCESS Magazine and personally interviewed by Oprah. Rhodiola and Ginseng are time-tested adaptogens believed to optimize your energy and deal with occasional mild stressors. Acetyl-L-Carnitine, Quercetin, CoQ10, Alpha Lipoic Acid, and mushrooms like chaga and cordyceps give you mental and physical vitality. Lion’s Mane, Ginkgo, Vinpocetine, and Huperzine A keep your brain sharp. Alpha-GPC and Phosphatidylserine are believed to enhance cognitive function and cellular health. Adults, as a dietary supplement, take four capsules daily, all at once, or for those who are sensitive, 2 in the morning with a shake or light meal, and 2 at lunch. If you are sensitive to any supplements that support your brain or energy, consult your doctor or experiment by just taking two per day and see how you feel. Stop taking or consult a doctor if you feel dizzy or disoriented. Consult a medical doctor before taking this or any other nutritional supplement if you are pregnant, nursing, have or suspect a medical condition or are taking any medications. Store in a cool, dry place. Keep out of reach of children. This product is not intended to diagnose, treat, cure, or prevent any disease. Formulated to support cognitive functions like focus and mood, and create a sense of physical vitality. These statements have not been evaluated by the FDA. Please consult your doctor before taking this or any supplement, or making any new dietary shifts. Do not take if you are taking medications that lower your blood pressure. Do not take if you are hoping for a miracle, or trying to treat any medical condition. Always consult your doctor about using any nootropic or supplement. Your health is important, and it is up to you and your doctor, not us, so we do not advise, consult, or suggest anything related to your health or particular condition, and by purchasing our product you agree and understand that we can't be held liable for your choices, health, or results in life, under any circumstances.